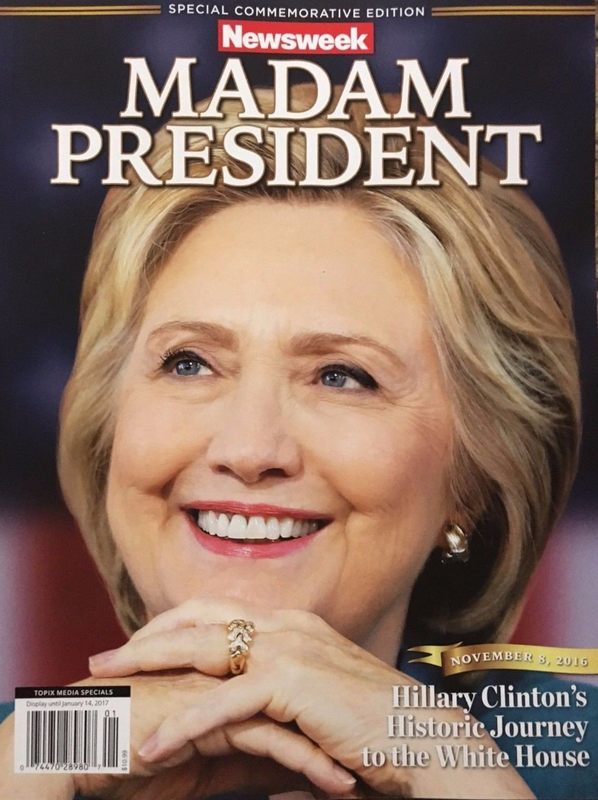 In view of the numerous overwrought displays of grief, disbelief, and even violent protests following the unexpected defeat of Hillary Rodham Clinton by President-Elect Donald J. Trump in the November election, I propose that we consider what might have been if the Democrat nominee had prevailed. What are the “shadows of things” that might have been? On October 11, 2016, in a moment of “extreme carelessness” (like her email server scandal) or sheer hubris, Mrs. Clinton declared to Mark Leibovich of the New York Times, “As I’ve told people, . . . I’m the last thing standing between you and the apocalypse”. Mrs. Clinton was, as usual, mistaken. She would have been the “apocalypse,” politically speaking, of the American Republic. The two-year national election campaign just concluded accelerated our spiritual and moral decline as a people. The coarsening of public discourse and private conversation is breathtaking and almost enough to drive one to despair. Pathological lying, lawlessness, and acts of malice and personal destruction are omnipresent among the political class, the mainstream media, and the cultural elites in the academy, Hollywood and the other entertainment industries, even professional sports. Almost no component of our federal government is above political and moral corruption—from the White House to the Congress to the U.S. Supreme Court to the Department of Justice and the Federal Bureau of Investigation to the U.S. armed forces in which I served as an Orthodox chaplain for a quarter of a century until my retirement in 2010. Particularly ominous for traditional Christians in America are the increasing rhetorical, legal, and federal assaults on the religious freedom heretofore guaranteed to all Americans by the First Amendment to the U.S. Constitution. In April 2015, Mrs. Clinton herself declared, “[F]ar too many women are still denied critical access to reproductive health care and safe childbirth. All the laws we’ve passed don’t count for much if they’re not enforced. Rights have to exist in practice, not just on paper. Laws have to be backed up with resources and political will. And deep-seated cultural codes, religious beliefs and structural biases have to be changed.” Mrs. Clinton’s use of passive voice in the last phrase (“have to be changed”), instead of the usual active infinitive one might expect (“have to change”), betrayed the authoritarian intent of a would-be despot. And that brings us to what a President Hillary Rodham Clinton might have wrought, if she had defeated Donald J. Trump. Within her first 100 days in the White House—the standard for measuring the success of a new U.S. president—Mrs. Clinton would have undoubtedly begun to construct via proposed legislation, “executive orders,” or nominations and appointments a new socialist order with open borders and unrestricted immigration; all abortions—including “partial birth”—fully funded by the federal government; the transgenderization of all public bathrooms and locker rooms in all fifty states, including all government (“public”) schools; 50% quotas for women in federal hiring and appointments; a federal prohibition against “hate crime” speech that associates jihadist terrorism in any way with Islam, a “religion of peace”; a radical left-wing nominee for the U.S. Supreme Court bearing no semblance whatsoever to the late Justice Antonin Scalia, who interpreted the U.S. Constitution as a strict constructionist; needless provocations of the Russians owing to an obsessive anti-Putin animus but also rooted in hostility to the rebirth of the Russian Orthodox Church and the symbiotic resistance of Church and state in Russia to the West’s perverse crusade for “human rights” as viewed through secular progressive lenses; and other, unanticipated acts of foolishness and recklessness. Most dire for Orthodox Christians, other traditional Christian communions (both Roman Catholic and Protestant), and the Orthodox and Hassidic Jewish denominations is the high probability that Mrs. Clinton would have, as President, issued an executive order unleashing the IRS to revoke the 501c3 federal tax exempt status of religious organizations that have not yielded to the new intolerant orthodoxy enforcing the LGBTetc. agenda. A gutting of the “free exercise” of religion enshrined in the First Amendment to the U.S. Constitution might have followed in the first year or two of President Clinton’s reign. A self-described “progressive” but a totalitarian at heart, Mrs. Clinton, a protégé of the radical left-wing agitator Saul Alinsky dating from her senior thesis at Wellesley College, is, I would contend, a disciple of Jean-Jacques Rousseau, the political godfather of modern totalitarianism. Rousseau enumerated those essential—and exclusive—“dogmas” as the “positive” concepts of (1) a powerful, personal, providential “divinity”; (2) an afterlife; (3) “happiness of the just” (but not everyone, to be sure); (4) “punishment of the wicked”; and (5) the “sanctity of the social contract and of the laws.” In addition, there was one “negative” dogma—the exclusion of “intolerance” in the pursuit of “tolerance.” Rousseau’s version of acceptable civil religion was little more than a very muscular Unitarianism. To enforce the sole, national, civil religion Rousseau proposed two draconian measures adopted only a generation later by the Reign of Terror after the French Revolution and, eventually, by the worst totalitarian regimes—both fascist and communist—in the twentieth century. Rousseau averred that “the sovereign can banish from the state anyone” who refuses to believe in his “sentiments of sociability” as the civil and sole “religion.” However, a citizen who had publicly professed those “dogmas” and subsequently “acts as if he does not believe them . . . should be put to death” for his apostasy. Either accept and live according to the civil religion—in George Orwell’s fictional scenario, “Love Big Brother”—or suffer EXILE or EXECUTION! Substitute “traditional Christians and observant Jews” for Rousseau’s “citizens” and we have a preview of the 21st century reign of terror that “Stalina,” the first female president of the United States, might have inflicted upon America. The Democrat candidate tipped her own hand in her infamous “basket of deplorables” insult on September 9, 2016, against half of Donald J. Trump’s supporters—or roughly one quarter of the entire adult population of the United States. Mrs. Clinton dismissed as “irredeemable” (a religious term) and “not American” those American citizens whom she excoriated in a string of nasty, extreme left-wing epithets: “racist, sexist, homophobic, xenophobic, Islamophobic—you name it.” Mrs. Clinton obviously views multiple millions of Orthodox, Roman Catholic, and Protestant Christians, as well as hundreds of thousands of observant Jews and, ironically, Muslims, who affirm traditional sexual morality and marriage as contemptible and, to draw a logical conclusion, intolerable. That could have, in a worst case scenario, rendered Mrs. Clinton’s “deplorables” worthy targets of marginalization, oppression, and, ultimately, persecution in the neo-Stalinist regime that might have been. This year, more than any in recent memory, we can wish one another a “Merry Christmas” or a “Blessed Nativity” with joy and a sense of great relief. Thanks to the divine providence of our Lord Jesus Christ and to the voting citizens of the United States, the Clinton Apocalypse will not descend upon us after all. Archpriest Alexander F. C. Webster, PhD, is a retired U.S. Army chaplain in the rank of Colonel and rector of St. Herman of Alaska Russian Orthodox Church in Stafford, Virginia. In all respect Fr. Alexander, if the best efforts of the pagan Roman emperors could not bring an end to Rome, neither Clinton nor Trump are likely to end our republic, as contrary to Christian values as both of their policies may be. Life, Marriage, Liberty–these are of course essential. Clinton is simply wrong on these issues, and morally culpable for it. Yet with Donald Trump in charge of the most powerful nation on earth, our own country, we need to work to ensure the good of all people in our country by ensuring we continue to have strong governing institutions (as they have been directly attacked)–and particularly seek the good of the weak (including Mexican migrants and Syrians, among others). Well, Mexico is a middle income country far from the poorest. Mexico should be made to care for their own people instead of coming to the US since the rural areas are poor. In fact Mexicans now make 3.5 to 4 an hour in a factory. I only made 3.5 in a factory way back in the early 1980’s. So, I will not support the Mexican migrants when they have a country to return. In fact I support Donald Trump making the Mexican government have more of a food stamp welfare in their country for the millions of poor folks instead of coming to El Norte. There are also millions of Mexicans that come the legal way who wait 10 years to come to the US. A very good caution David. This election is a reprieve, a chance to get our house in order. I find it troubling that this article fosters wild speculations, mocks Islam, and turns a blind eye to the refugee crisis. Christ’s message was extremely simple: Love your neighbor. This article is not Christ-like. “Love your neighbor” does not mean “collapse all distinctions.” When the lawyer asked Jesus, “Who is my neighbor?” after being told to love his neighbor, Jesus responded with the Parable of the Good Samaritan which featured a Levite who passed by on the other side. The Levite was misapplying a dictate of the Mosaic Law, a distinction evident to the Jews of the day although less evident to us, and one the revealed that love is the heart of the Law. Love then, is not indiscriminate, it requires distinctions. Further, drawing distinctions is not the same thing as condemnation because Jesus did not condemn the Levite. Distinctions are necessary. Collapsing them under a confused notion of what constitutes obedience to God (like the Levite) blinds us to what real love is. Huh? Goodness, what alot of words. Sounds like a clanging symbol. I think we should stick with what Christ said, love your neighbor. Plus I think we lost out on a great President with Hillary Clinton. Trump? One needs to turn a blind eye with that guy. He thinks of himself and his kids, that’s it. Islam, especially Sunni Islam and Wahhabi Islam should not only mocked but condemned. Islam is not equivalent in any way, spiritually, intellectually or socially to traditional Christianity. And if you think Fr. Alexander imprudent perhaps you should read Fr. Zakaria, a Coptic priest with a fatwa on him because of his constant “defamation” of the prophet. Still, he leads many to Christ by reading from the Koran and historical Islamic sources that show the actions and character of Mohammed. There are many God loving Muslims whom Jesus is calling out of that puddle of lies and deception and violence. Where is your condemnation for their lack of the Kumbaya spirit? Love is indiscriminate. We cannot pick and choose who is our neighbor. Our neighbor is the man in the parable who was beaten, the refugees fleeing violence in Syria, the immigrants fleeing wretched conditions in Central America. I pray for more love and less discrimination in the world. Saying “love is indiscriminate” and saying love means all distinctions are collapsed are two different things although you seem to be conflating the two. One must love all but the expression of that love requires maturity, sobriety, and good judgment. You gave the example of the refugee crisis (created in large part by American intransigence in the world, BTW) and presumably affirm the idea that borders should be wide open and all comers welcomed without distinction. Doing so however has opened up a flood of new problems since some refugees are creating violence in Europe and elsewhere that you say they are ostensibly fleeing from in their home countries. Ever heard of the Central American countries dealing with their violent and poverty. Some central Americans are paid 2.00 hour to work in a factory. I worked in a factory for 3.5 per hour back in the early 1980’s. The Central American countries need a welfare state to provide food so their people don’t come to the US as much. At some point one really commits. In the future, it is likely to be a commitment to Islam or to Christianity. The problem we have with Islam is that by its own internal logic it is programmed, sooner or later, to force the world to submit to the will of its god. But Christianity has a different theology. Christians understand God differently. A Christian who sincerely holds his faith cannot but believe that Islam has a diabolical origin because it denies the divinity of Christ. Islamic eschatology is a mirror image negative of Christian eschatology. The die is cast. There can be no peace with Islam on this side of war. Christians did not invent Islam. It’s not our fault. We disagree and should leave it at that. Father, which all due respect I think you’re not giving considering to the problems that might arise during a Trump presidency. As an example, both of my parents were recently laid off, which means no more health insurance. They got a letter from Cobra which to continue coverage would require them to pay $1,600 a month! If it wasn’t for Obamacare, they would be in a very difficult place right now. However, with McConnell already wanting to “repeal and not replace right away”, I’m very concerned that they and 20 million Americans are going to suffer like it used to be before 2010. If my sister doesn’t get her required medications, she could die. Even if the GOP doesn’t remove Obamacare right away, I can very easily see where they’ll kick away the tax credits and subsidies towards it which will make rates go up even more. Chris: I have been in the sales end of health insurance for 20 years. I have learned two things: it is a tough type of business to price and under write; government involvement usually makes it worse. We are all to blame for the mess due to unrealistic expectations, less than honest administration, political ideology and a dysfunctional economy that fundamentally does not value people. I am glad your parents were helped but that was never the intent of Obamacare. The help they got is an accident not by design. I am in the trenches everyday with having to offer really bad coverage for premium prices. No one feels confident in their decisions. More and more folks are being trained to expect less and less to gladly take what ever the government offers saying “Yessa master, thank you massa” as we do so. We frogs are being boiled. It makes me feel frustrated, unhappy and mad. We will see what happens but do not trust anything the media says–nothing from any source. It will be lies and damned lies. God provides. Not the government. Governments are only good at taking stuff and killing people never in creation of anything positive. If the government can find away to make something worse, it will.